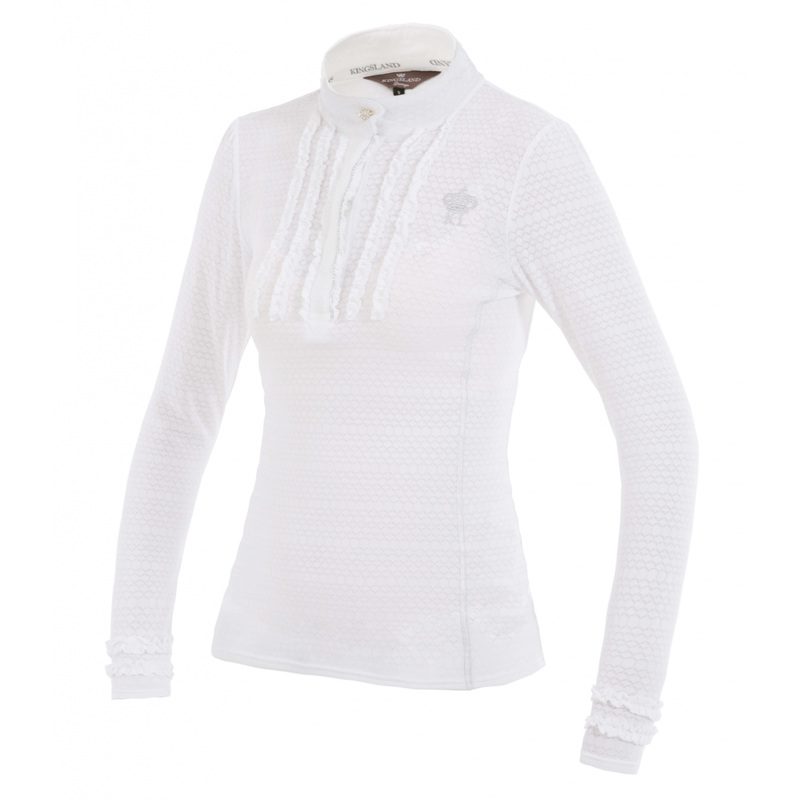 Ladies Sevento long sleeve show shirt with spectacular fringe on the front. On the left chest there is a KINGSLAND embroidery made with silver thread , which beautifully blends in with the design of the shirt. Silver trimming in the middle and decorative jewelry around the neck make incredible effect. Shirt provides the highest wearing comfort.